Historian discusses five books on one of the world’s most enigmatic and dangerous places. "The atmosphere inside the Khyber is certainly very tense. 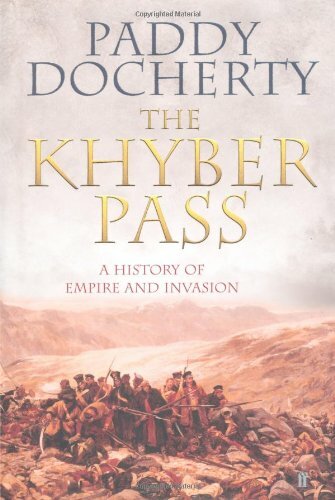 You don’t see people strutting around having a nice time"
Paddy Docherty is a historian and natural resources specialist, and the author of The Khyber Pass: a History of Empire and Invasion. This won the Financial Times Book of the Year in 2007 and was short-listed for the Longman History Today Book of the Year Award in 2008. Paddy is currently based in Prague, where he is writing his second book, which focuses on natural resource politics in Africa. Here Paddy talks to FiveBooks about one of the world’s most enigmatic and dangerous places. How did you come to write a book about the Khyber Pass? Because my doctoral research was in a related area. I looked at the relationship between British India and the regions along the frontier during the early 20th century. I was interested in the way British India tried to influence, or even control, areas that were technically outside the British Empire, such as Iran, Afghanistan and Tibet. So naturally, when I thought about writing a book for general consumption, it was an obvious part of the world for me to gravitate towards. 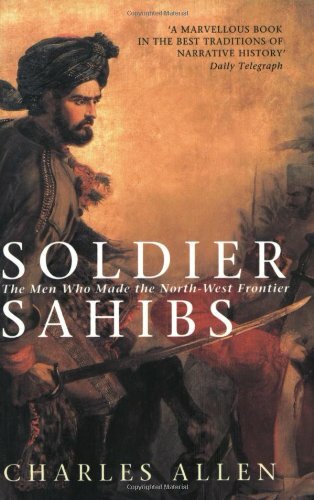 Soldier Sahibs by the historian Charles Allen, is based on the letters and diaries of a small group of British men who were working for the East India Company in the North-West Frontier Province, in what is now Afghanistan and Pakistan. What do you like about this book? It takes a very interesting angle on the big stories of war and diplomacy. It is told very much from the point of view of the officers on the ground, rather than the rarefied level of foreign ministries and Whitehall. And the civilians were always quite unusual. As you can imagine, it takes quite a character to leave the comforts of Britain and live a fairly rough existence in the middle of the North-West Frontier Province. And the officers really got stuck in, learning the native languages, dressing in local clothes and adopting their customs. And in some cases marrying women there and having children. 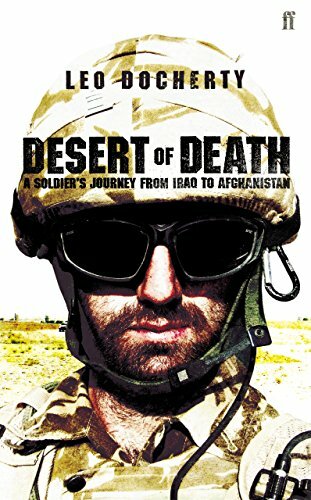 Your brother, the former army officer Leo Docherty, is the author of Desert of Death, as well as a linguist and explorer. He recounts events witnessed from the frontline of the war in Afghanistan and his perspective is often critical. Does this book help to explain why the British Government is itself coming under fire for not properly equipping its troops? Well, what this book does is give a very compelling view of life on the ground as a soldier in Afghanistan. Leo doesn’t try to look at high-level strategies – he is basically telling his own story. But the disillusionment he felt is one of the main things that comes across in the course of the book. He became increasingly dissatisfied about the way the war was being conducted. In his book, Leo describes how a friend of his was killed in action – was this a pivotal moment for the change in his attitude towards the war? Yes, he had been sharing a tent with his friend, Captain Jim Philippson, who was shot in the head in Sangin. I am sure that his death contributed to Leo’s change of feeling. But the main reason for it was the number of Afghans that were dying. We had said that we wouldn’t have the “collateral damage” that the Americans had typically experienced, but we ended up doing something pretty similar. Were there other aspects of the war he felt dissatisfied with? Leo said that when he visited towns in Helmand, people would ask what they were doing there (this was of course, during the time when the British could still patrol towns and talk to people). Leo would tell them that the British Army didn’t want them to grow poppies, but that they would have an alternative means of income. But when the Afghans asked Leo what that alternative was, he didn’t have an answer because the army hadn’t been told. That element hadn’t been provided for, and it disappointed him. So he decided to leave Afghanistan? Yes. He resigned in disgust over the conduct of the war, and in particular, the accidental killing of civilians. 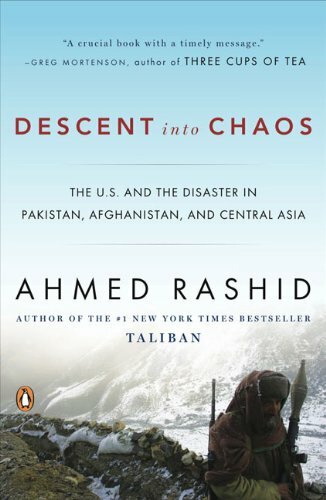 The third book you chose is Ahmed Rashid’s Descent into Chaos: The United States and the Failure of Nation Building in Pakistan, Afghanistan, and Central Asia. He offers an explanation as to why the West is not succeeding in its attempts to suppress militant Islam. It sounds fascinating – what were your reasons for choosing it? Because it is the authoritative account of the current situation in the region. I would recommend it to anyone wanting to understand what’s going on in Pakistan and Afghanistan. Rashid had close relationships with people who were exiled during the reign of the Taliban, and now some of those people hold very powerful positions in government. Would you say that the strength of this book is his access to the decision-makers? That is certainly one of its strengths. The other is his depth of understanding. It’s also very trenchant in analysing the mistakes that the West has made in relation to Afghanistan and Pakistan. 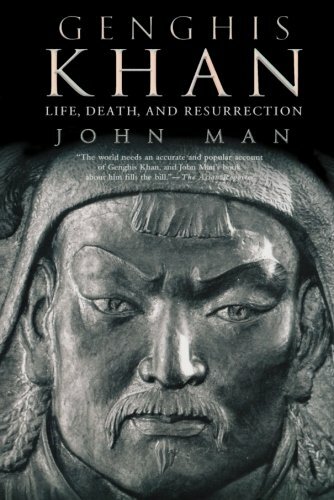 Why did you choose John Man’s biography Genghis Khan: Life, Death and Resurrection? It’s a gripping read and it’s very well written, covering Genghis Khan’s life from start to finish. The story itself is impressive – Khan’s father was murdered when he was very young and he was cast out on to the steppes of Mongolia with his mother and two siblings. How he got from that to becoming the most powerful man in the world is staggering. It’s not explicitly mentioned in the book, but when you read it you become aware that it’s effectively a “how to” of leadership. It sets out the principles under which he rose to power, and it contains a lot of tips about how to lead. Interestingly, Man recently brought out a book called The Leadership Secrets of Genghis Khan. It’s a distillation of the biography, and I think it’s best read as a companion to it. I also appreciate that John Man did a lot of on-the-ground research. He visited the places where Genghis Khan was probably born and where he was buried. Did Genghis Khan travel through the Khyber Pass? Just once, when he was on his way to invade India. Some wonder why he didn’t go further into India. One theory is that he didn’t like the weather. He had horses, you see, and it was too hot for there to be enough grass for his cavalry. But the impact of the Mongols in Afghanistan was lasting. Eight hundred years ago, before the Mongols arrived, Afghanistan was a world centre for Buddhism. Most people would not imagine that it was like that, because today we think of it as very much a Muslim country. It was the Mongols that put an end to Buddhism there. 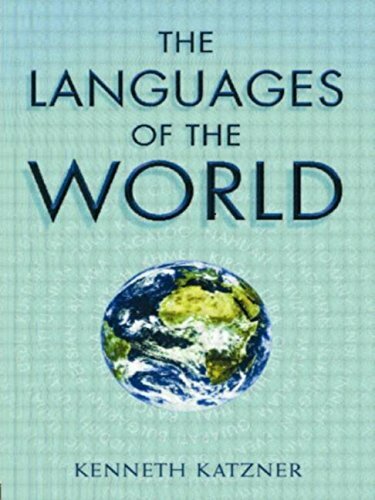 The final book you chose, The Languages of the World by Kenneth Katzner, is a 400-page volume containing information about 600 of the world’s languages, as well as a country-by-country survey of the principal languages and numbers of people who speak them. I understand that it was written with the non-specialist in mind, but it still sounds rather daunting. How would you encourage people to read it? Actually I wouldn’t say that it’s daunting because it’s a one-volume reference work set out in a very user-friendly way. Outside of a heavy volume of linguistics, it is the best way of understanding the connections between different languages. It might seem a slightly odd book to include, but the reason I did so is because it was incredibly useful when I was trying to understand the movement of people. And while I was obviously interested in particular areas, it covers the whole world. Are there many different languages spoken in the Khyber region because so many people have passed through it over the ages? Not really. Certainly lots of people have passed through – the Moguls, the Sikhs, the Persians – many, many different peoples. But the dominant language there is Pashto. And obviously as it close to Peshawar, there is a lot of Urdu, and the Afghan version of Persian, which is Dari.